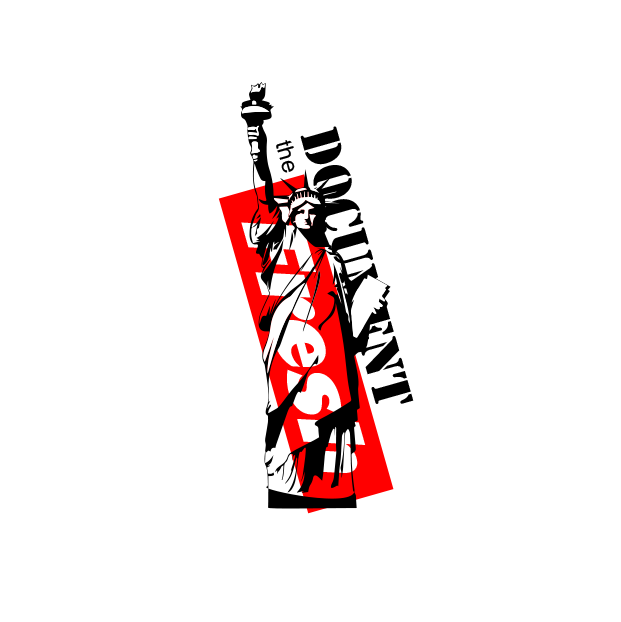 The NYC opening reception of the third DOCUMENT the Fresh exhibition did not disappoint. Props to the artists for bringing their best in terms of works and solid installations, both of which spoke to their personalities and styles. Salute to everyone that attended, the Bishop Gallery for once again opening their doors to my ideas, props to Alexis (Madison Davenport PR) for the PR/marketing support, and thanks again to the participating photographers. I’m planning a closing reception/BBQ to take place later this month so stay tuned. 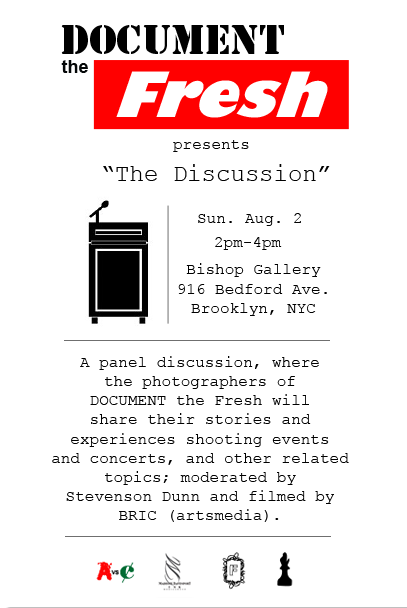 Please also join us on Sunday August 2, 2015, at The Bishop, from 2-4pm, for a panel discussion where the photographers of DOCUMENT the Fresh will share their stories and experiences shooting events and concerts, and other related topics; moderated by Stevenson Dunn and filmed by BRIC (artsmedia). 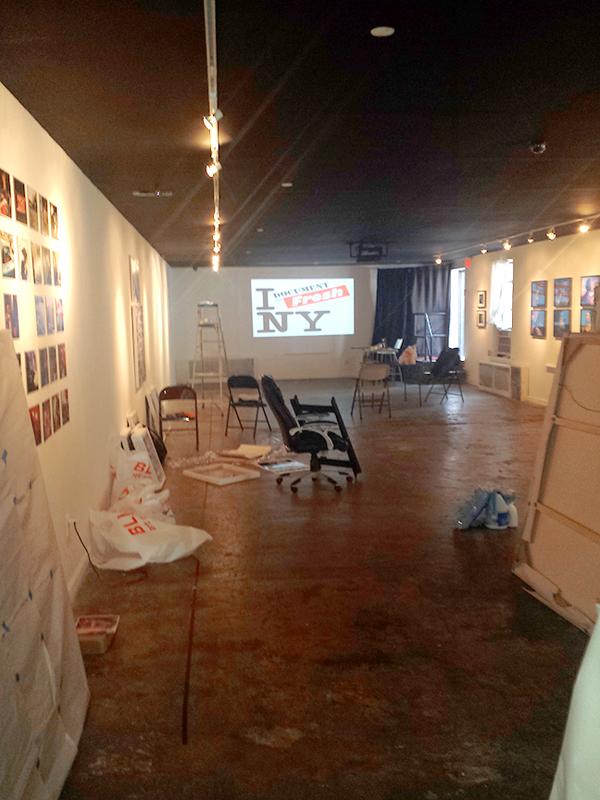 Gearing up for my next DOCUMENT the Fresh exhibition in NYC and things are shaping up nicely. 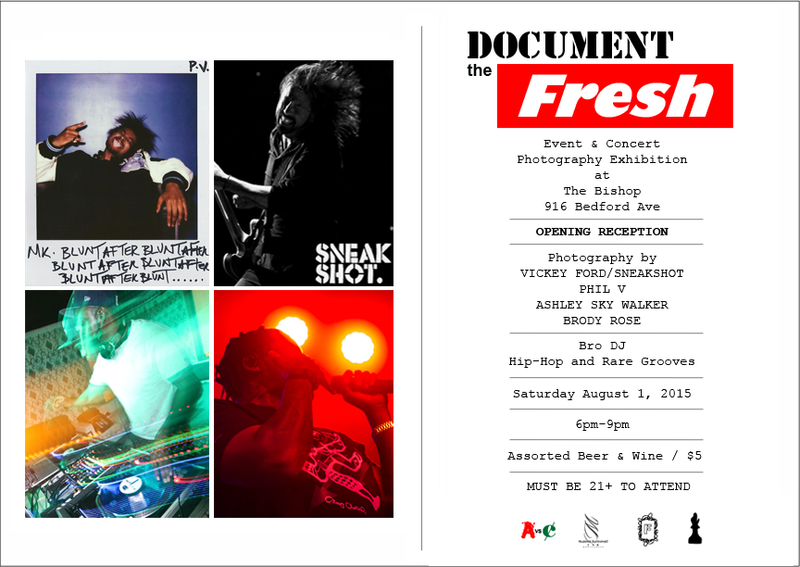 Props to the Bishop Gallery (Brooklyn) for once again hosting the show and this year’s lineup of photographers are nothing short of amazing.